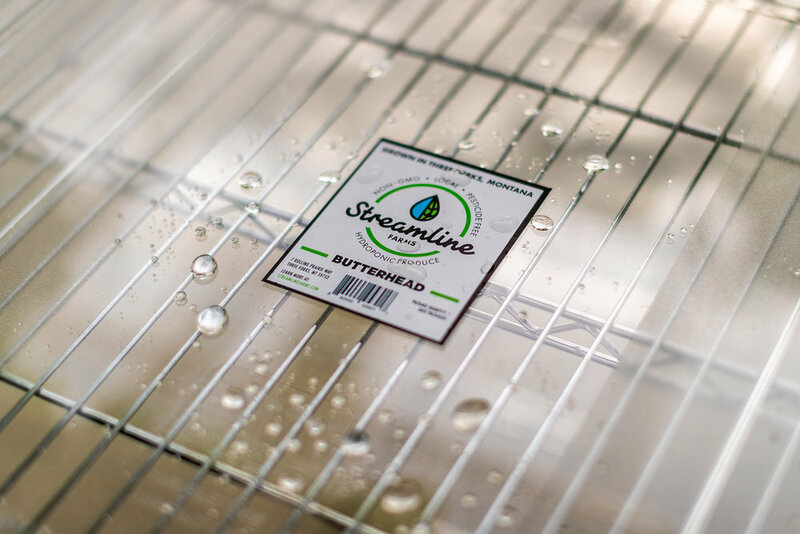 Streamline Farms’ hydroponic greenhouse is designed for energy optimization, cleanliness, and uniform crop production. Our closed-loop system allows us to use 90% less water than field grown produce. We offer high quality lettuces and herbs 365 days a year that are grown sustainably, without pesticides or GMOs. Something amazing happens when a plant gets exactly what it wants. From the nutrients and water, to the light, temperature, and humidity, our plants are more productive than most. Pair that with a delivery time of days and not weeks, and you are sure to have happy customers. Our passion for efficiency is a big part of why we chose Three Forks, Montana. Our location features a pocket of warmer temperatures, excellent sun exposure, and efficient, reliable transportation routes. The 50 miles radius from our farm is one of the most populous locations in Montana, allowing us to serve more customers. Our expertise in Controlled Environment Agriculture (CEA) makes us the best choice for herbs and lettuces. By carefully monitoring the climate with advanced technology, we eliminate the harsh temperature swings Montana is accustomed to; turning bitter, tough leaves, tender and delicious. We control every aspect of the growing environment so we can provide the cleanest, freshest produce, delicious to the last leaf. When it comes to food-safety, our facility is held to the highest standards. From industry leading bug exclusion methods, to sterile gloves and hair nets when harvesting and processing; our staff take all necessary precaution when handling your food. We make sure our plants are exposed to nothing more than clean Montana air, reverse osmosis (RO) high-quality water, and naturally derived nutrients and minerals. That’s it.